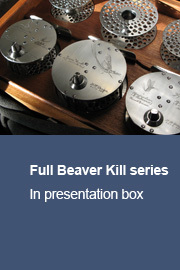 This series was developed for one of our customers in the U.S. who fishes the Beaver Kill. 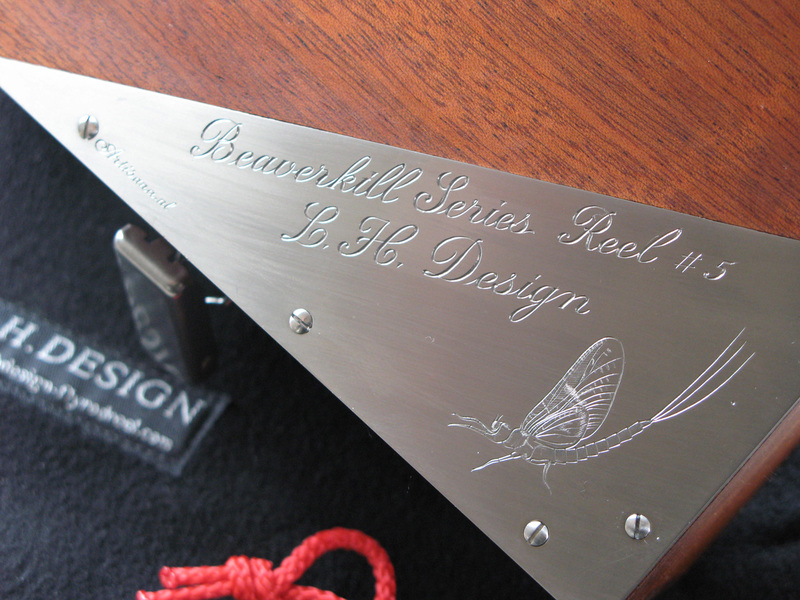 Some insects, significant for the Beaver Kill environment are free hand engraved by Mrs. Anne Miek den Braven from Zwolle (the Netherlands). 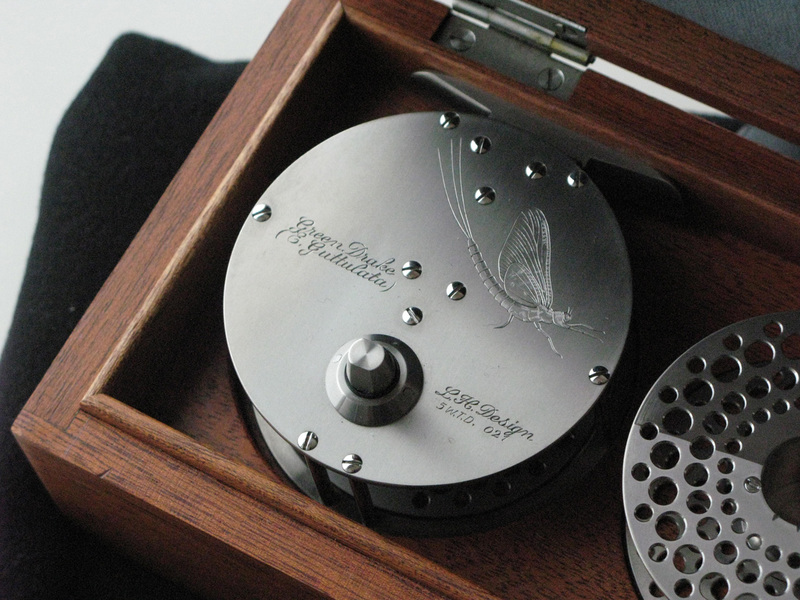 These reels have a classic, timeless visual impact. The series consists of a 3, a 4 and a 5 Wtd. 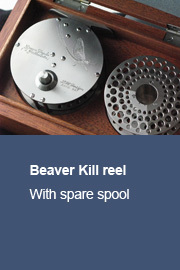 reel, type B series. 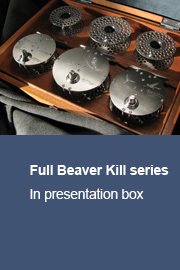 The reels can also seperately be delivered in a same style box as the complete series. 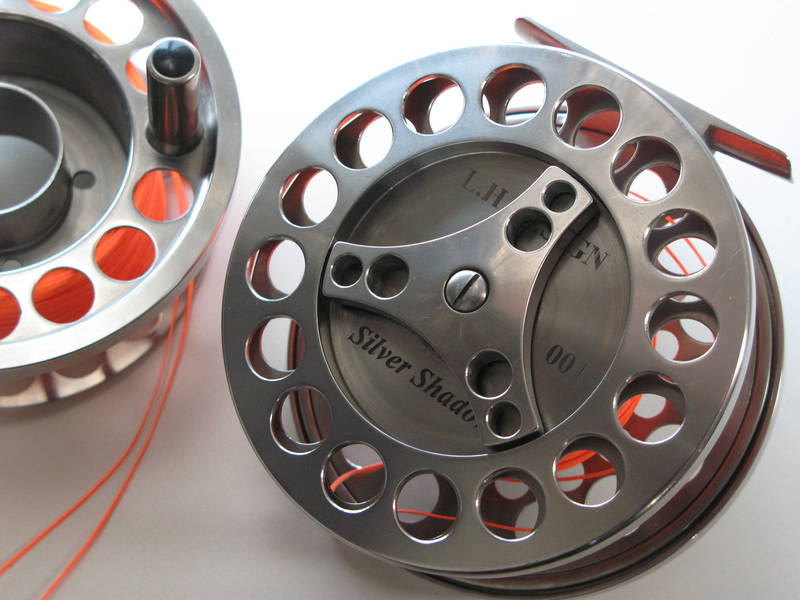 Extremely robust but light weight construction: The lightest titanium fly reel in relation to it's line capacity. 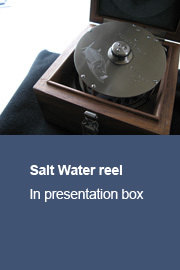 Reel weight: 12,5 ounce (350 grams). The specific weight of titanium is 60% more than that of aluminium. 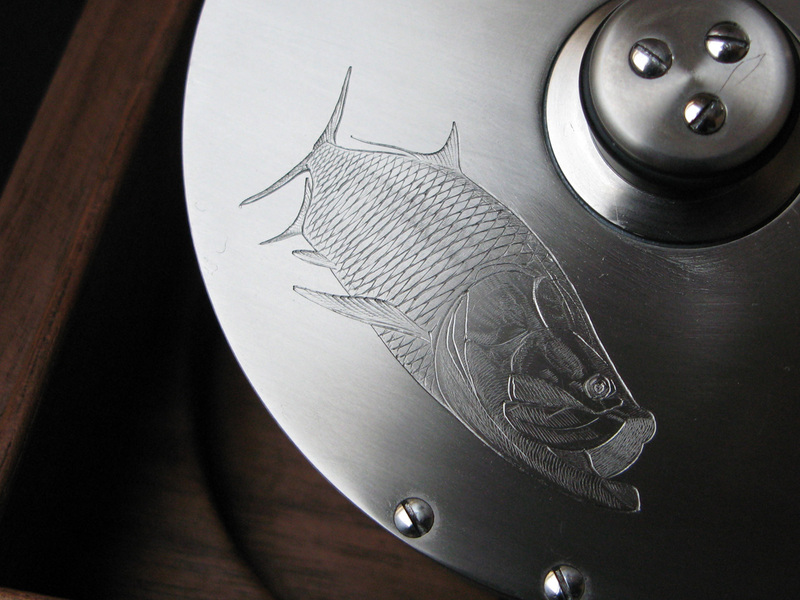 95% made from titanium, 5% of phosphor bronze and stainless steel. 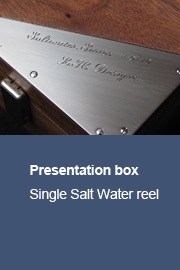 100% Saltwater protected. 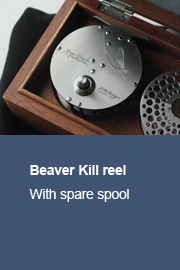 One-piece spool and frame, each cut and precision machined from the finest (aerospace certified) titanium bar stock. 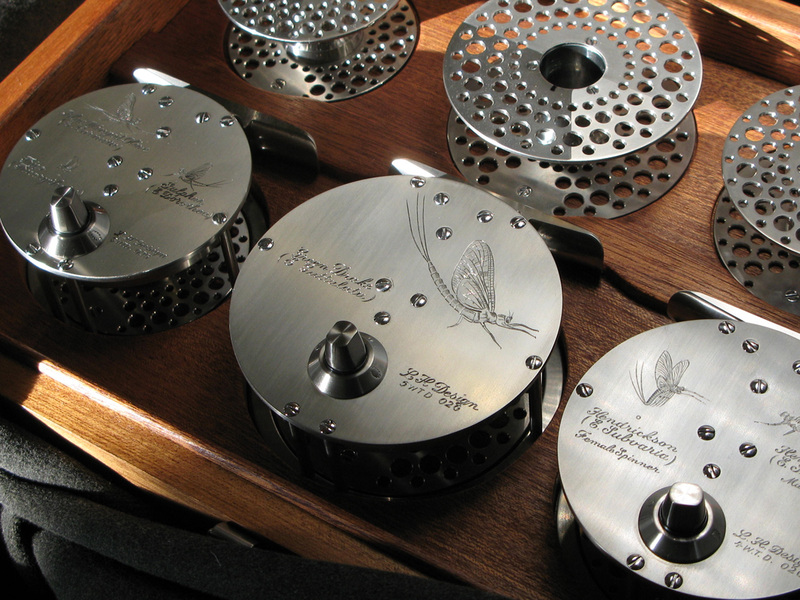 Ultra smooth and powerful Carbon Fibre and Stainless Steel multi disc drag system (sealed). Some parts are vacuum coated with "Nitride of Titanium" (deep gold colour) and "Nitride Zirconium" (pale gold colour). 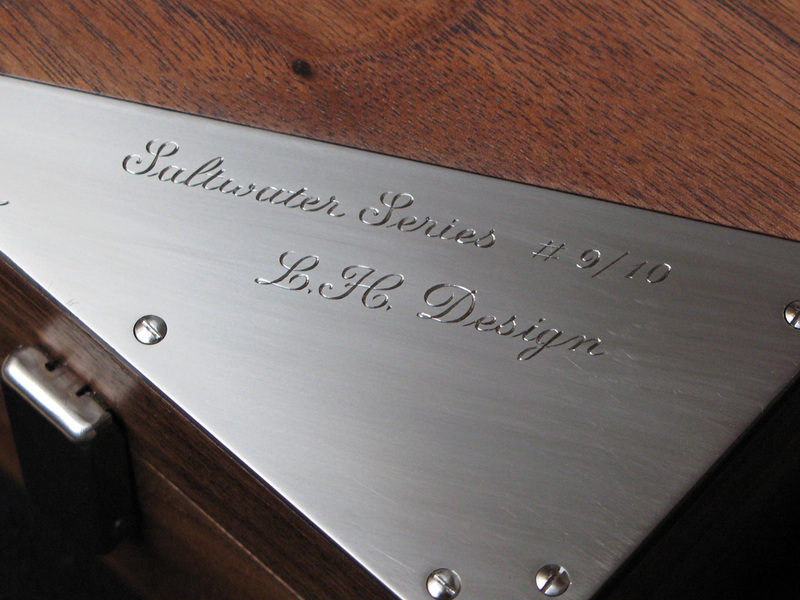 These are extremely hard and scratchproof coatings, HB about 2000 kilogram/mm2. 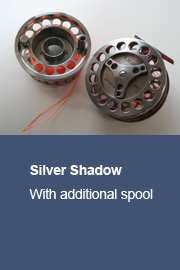 Reel comes with a #7/9 spool and a #10/12 spool. 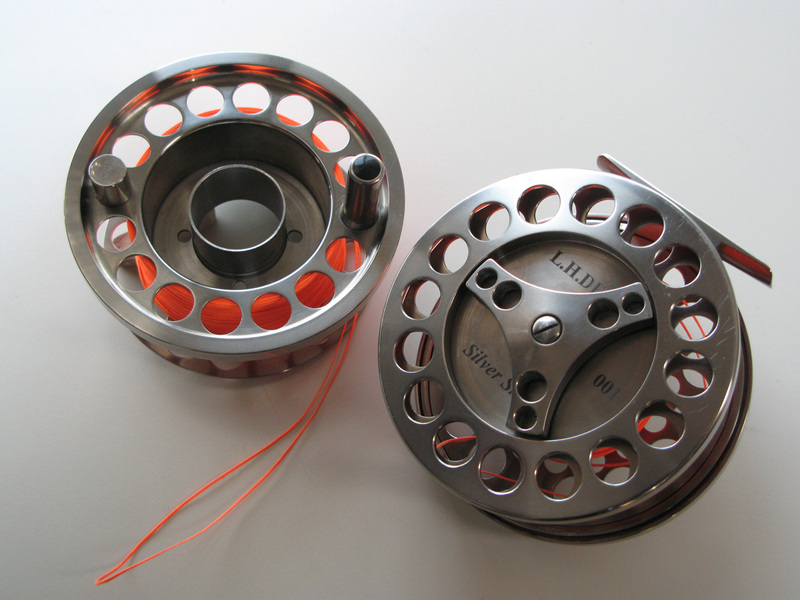 Two stainless steel ball bearings for ultra-smooth retrieve. 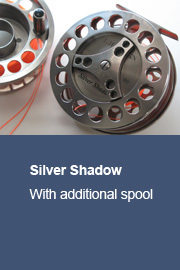 Easily "without tools" spool changing system. 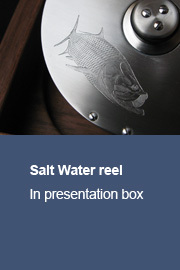 At this moment I am designing a series of saltwater reels. The series consists of a 7/8 a 9/10 and an 11/12 Wtd. reel. 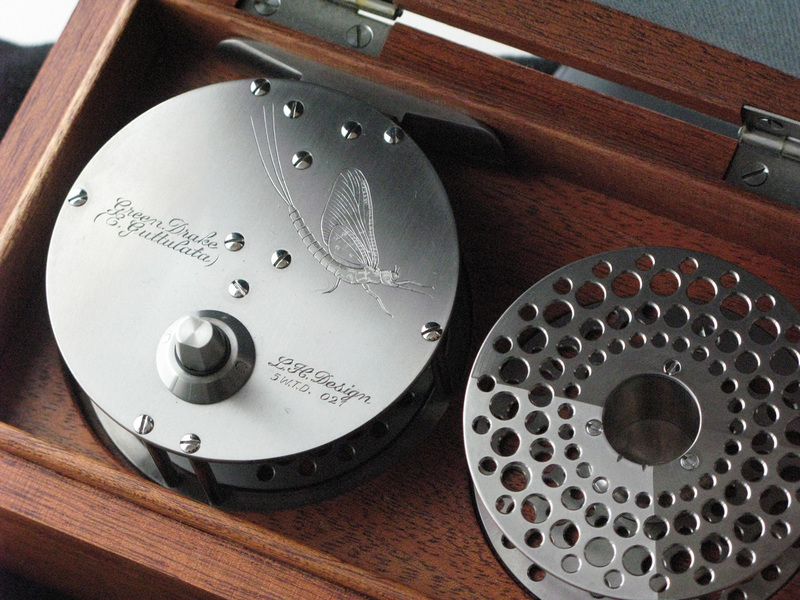 These reels have a very robust central drag system and are engraved by Mrs den Braven with a Bonefish (#7/8) a Permit (#9/10) and a Tarpon (#10/12). 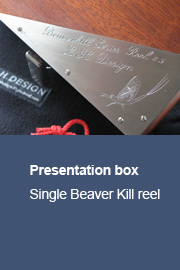 The series (and the seperate reels as well) come in a walnut box with an engraved titanium plate, which can be customized... 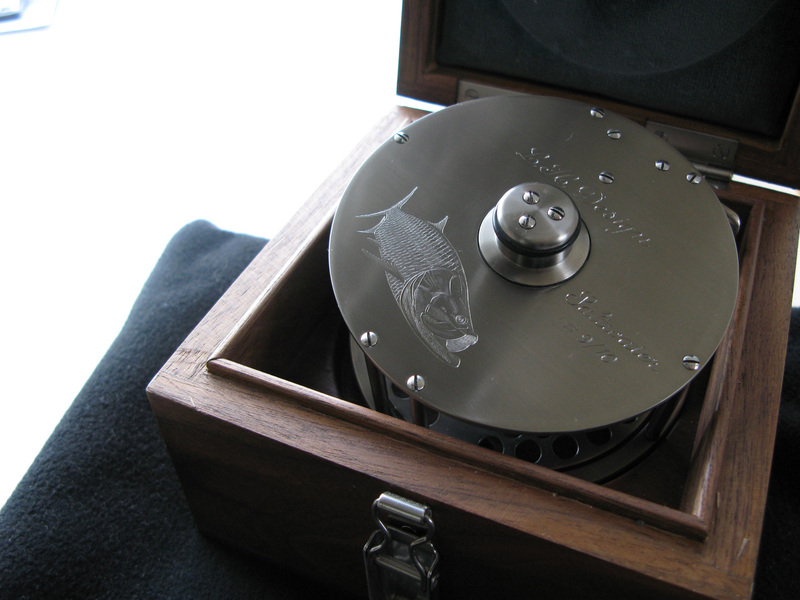 In the full series box the reels will be exposed just above a blue-ish titanium plate which symbolizes the sea. Finishing this project will take the next year... (2013). 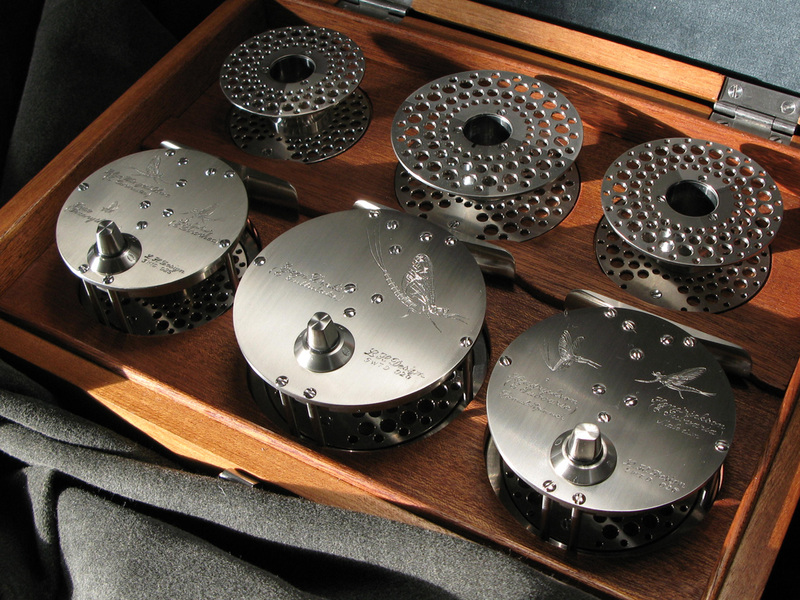 From this moment (december 2012) it is possible to get in touch about this set of reels.